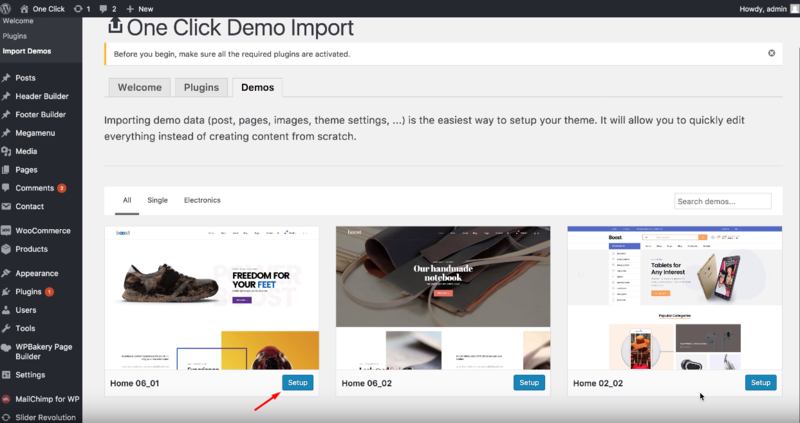 If you get interested in WordPress theme features, you must know One Click Demo Import – one of the most popular & useful plugins. 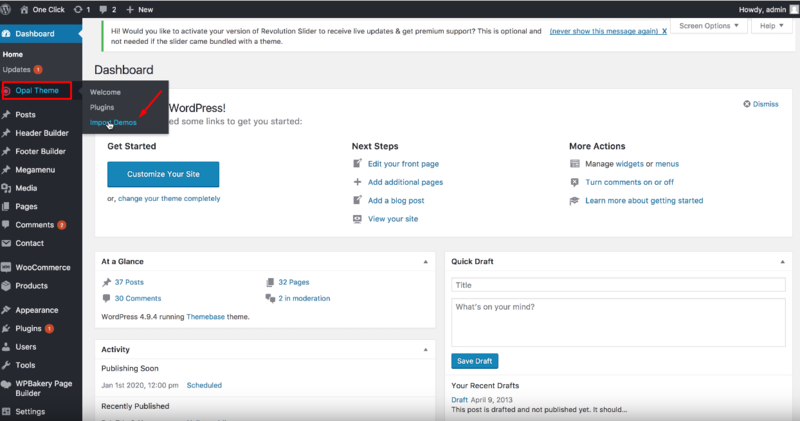 If you are a theme author, you will want to allow your users to setup their theme fast & easily. 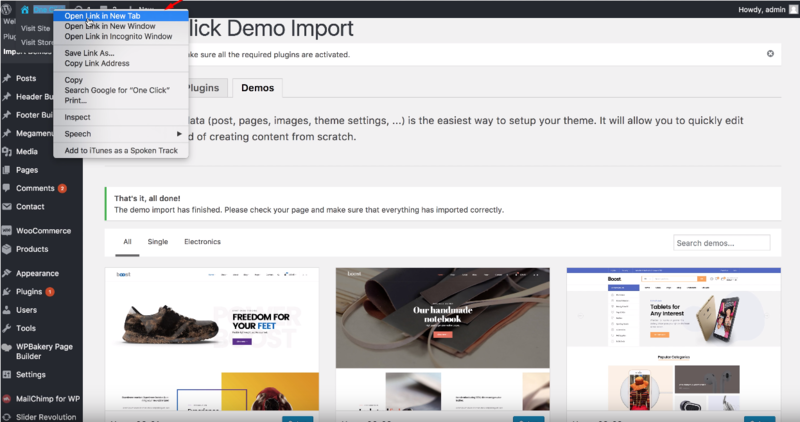 This powerful tool will support to import demo content, widgets and theme settings with just 1 click. Comprehending its important function, WpOpal would like to introduce A to Z Tutorial: How to use One Click Demo Import in WordPress. 1-click installation benefits theme authors & users and make everything fast & convenient. Before using one click import, you need to download the theme package and install the theme. Then, you should install plugins in WordPress theme. 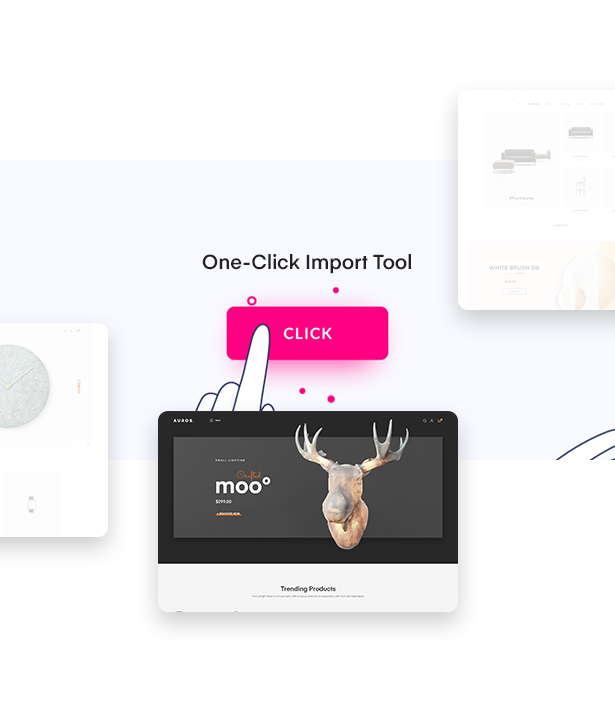 Now let’s start with One Click Demo Import! Step 3: Click on the button ”Import Demo Data” and wait for importing. Then, all premade homepage demos of the theme you installed before will be displayed. What you need to do now is choosing one demo you like and want to import. Click on ”Setup” button to replicate that demo. Wait until you get an notification of complete importing. Now, you can check your website. Step 4: Move your mouse to ”One Click” and select ”Open Link in New Tab” to check the result. Congrats! You’ve installed that demo successfully. Now you can enjoy your homepage with the theme setting, content and widgets are replicated with one click only. If you want to import other demos, you can come back the dashboard and choose ”Setup” button under that demo. One Click Demo Installation is necessary for any user-friendly WordPress theme to enable theme users replicate sample data in no time. 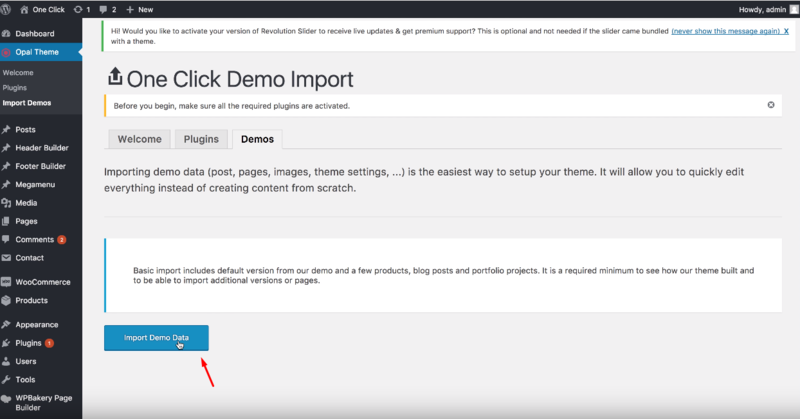 Therefore, this guide: How to use One Click Demo Import in WordPress will be useful for both theme authors & theme users. Save you lots of time & effort! >> Check more interesting tutorial blogs and video guides!